**The release of Losing Hope will be at midnight tonight (July 7th) via Amazon in the ebook version. Paperback copies are available October 15th, 2013. Thank you to NetGalley for providing me with an advance, uncorrected reader’s proof. I made sure I read it amidst all the 4th of July celebrations! This was my first Colleen Hoover book and I was left speechless!! She writes an amazing story and you can’t put it down. I loved the building relationship of Sky and Holder. As a reader you can feel a huge secret is about to unfold and when you find out what Holder’s tattoo means…..Are you kidding me?! I wished there was more of Six and Breckin at the end of the story at a time when Sky really needed friends. Definitely a story I will NOT forget. I hear there might be a book #2 in the works. Let’s HOPE! 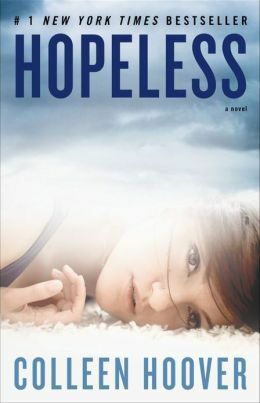 Losing Hope has been questioned as being the same book as Hopeless but from Holder’s POV. Not to fear, it is not. It is much more than just the same story told from his perspective. There are brand new scenes added and more pieces to the puzzle. I loved that we get to experience the relationship with Holder and his sister Lesslie and their bond was touching. 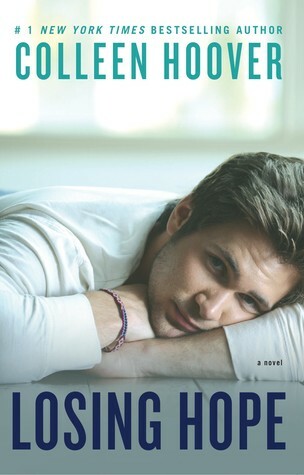 Again, as I said in the first brief review, I wanted more Breckin and Six encounters (because they are awesome) but this is Holder’s story and we get more insight from his parents and Lesslie. Also, a new friend Daniel, who is quite the character, is introduced. While being a challenging book to review (because saying too much would give away spoilers) it was not difficult to get sucked into the pages. The story will leave you breathless again with the new twists and shocking story plot. It has heavy, traumatic elements but the building romance, friendship, humor and swoon-worthy moments will leave you smiling and your heart racing. Tags: drama, love, second chances, YA. Bookmark the permalink.